Make these four technology moves for your supply chain to get ahead for 2019. The challenges facing the supply chain are no secret. Lack of visibility, fluctuating consumer demand and the coordination of operations across multiple sales channels are all major concerns. But the solutions to these challenges are no secret, either. Warehouse robotics, artificial intelligence (AI), e-commerce and Logistics Expert Systems (LES) are a few of the technologies available to help solve chronic problems. Unfortunately, their mainstream adoption is proving to be slow. This resistance to adapting to change and technological advancements, in fact, is the industry’s biggest obstacle. A recent report by eft and Teknowlogi on the state of the supply chain surveyed supply chain executives to gain a better understanding of the causes of slow technology adoption and to discover what the industry is doing to combat this resistance. While new technologies might not be widely embraced yet, the good news is that there are companies experimenting with them and working toward justifying the cost of modernizing their supply chains. One thing is for certain: Those companies that continue to fail to invest time and resources on supply chain improvements could find themselves falling behind in the long-run. While the eft and Teknowlogi survey revealed resistance to change to be the largest barrier to supply chain innovation at 31.1 percent, justifying ROI was a strong second at 27 percent. The latter is unsurprising since the biggest spending drivers for the supply chain traditionally all relate to reducing costs. This is because in most organizations the supply chain is still seen as a cost-center rather than an opportunity to gain a competitive advantage. This has led and is continuing to lead many supply chain executives to propose and implement new models for calculating ROI. In other words, they are moving from the conventional model that has always been “cost + recovery of cost” and are instead experimenting with measuring ROI through efficiencies gained, competitive advantage and how the technology enables future growth. Looking past the clear recovery of cost can help justify long-term investments. One of the most cost-prohibitive advancements for logistics is warehouse robotics, which is particularly expensive and difficult to scale. Forty-eight percent of survey respondents, in fact, listed cost as the biggest barrier to robotics implementation in their supply chains. However, because of its value the technology is still seeing limited adoption. While only 5.8 percent of respondents have robots in all their warehousing operations, more than half (51.7 percent) are testing it in a limited number of warehouses or are leveraging robotics through warehouse partners. Warehouse providers are seeing the highest rate of adoption as retailers implement tech solutions at the distribution center and warehouse parts of their supply chain to help enable the velocity rate for turning products around and getting them out to the consumer for final-mile delivery. This use case for warehouse robotics is the easiest to prove the ROI for, making it a perfect area for testing the technology to prove its viability for the entire supply chain. It also is representative of the current trend of experimentation for many logistics technologies prior to a larger implementation, which makes sense because adoption is difficult to justify without a smaller test of the solution. Experimentation is even more prevalent with the application of AI. While only 4 percent of organizations are showing extensive usage, 16.7 percent of supply chains show limited usage on specific business processes and 33.4 percent are conducting experimental usage. While these technologies are not yet penetrating the industry on a wide scale, the companies already experimenting with robotics, AI and other solutions in some capacity now will be prepared for a full adoption in the next few years, leading to a significant competitive advantage. One technology investment that offers an interesting look into supply chain adoption as a whole is the rise of B2B e-commerce. At first glance at the study, it might seem that B2B e-commerce is falling behind the curve, since the priority of e-commerce as a supply chain spending driver fell from 13.3 percent in 2017 to only 2.6 percent in 2018. But make no mistake, B2B e-commerce is still a key initiative and is poised to become a major part of every organization’s supply chain. The reason for its decline as an investment driver is that most companies have already spent money getting their business set up for e-commerce. Their investment focus is now on the other areas of the supply chain and other business divisions that support the growth their online strategy has created. The biggest challenges faced in getting B2B business online are now visibility (33.3 percent), updating legacy systems (32.1 percent) and data interchange (32.1 percent). Investments are still being pointed heavily to online e-commerce initiatives, but they are simply more targeted to the specific challenges businesses have uncovered since implementing. The case presented by e-commerce adoption represents most supply chain technology investments. There is no point where a business will be able to make a large, up-front investment to completely change the supply chain. Not only is it impossible to justify the costs, it is impossible to predict the many additional problems the implementation will uncover. The industry will continue to see various verticals such as retailers and manufacturers leverage available technology solutions to further advance their current systems. Experimenting with technology and making gradual advancements is the best way to avoid disrupting your supply chain or investing in large-scale solutions that won’t benefit the organization. Too many technology providers approach supply chain advancements as a rip and replace when it should be seen as a gradual upgrade. This is why Logistics Expert Systems (LES) are where the industry is heading. Current logistics systems, such as Transportation Management Systems (TMS), aren’t able to manage the more dynamic and complex logistics networks and operations that companies are dealing with. Making technology advancements with a logistics system that can’t communicate between new and legacy systems is a sure way to see those investments fail. The ability to upgrade legacy software without having to abandon legacy systems and investments allows organizations to adopt intelligent systems with little to no cost barrier to entry and with the ability to collect valuable insights before making further improvements. The biggest technology developments that will impact the logistics industry over the next five years are already here. While adoption has been slow, software and hardware advancements such as warehouse robotics, AI, end-to-end data analytics, IoT and even drones and driverless trucks are all here and currently being used and experimented with. While businesses are not expected to adopt all of these solutions in 2018, failing to take steps to embrace technological advancements will quickly catch up with them. By spending time this year to rework outdated ROI models, experiment with new supply chain technology and update the software driving legacy systems, supply chain executives can make sure their organizations are on the right trajectory for the next five to ten years of technology adoption. 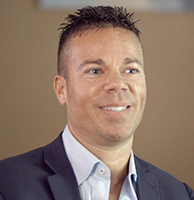 Spencer Askew is Founder and CEO of Teknowlogi (www.teknowlogi.com), pioneer of the Logistics Expert System and of Tai, the industry’s only cloud-based solution built on AI. Learn more at www.teknowlogi.com or follow on Twitter @Teknowlogi.